Samsung Galaxy J7 Price, Review, Deals, Cost, & Sales! 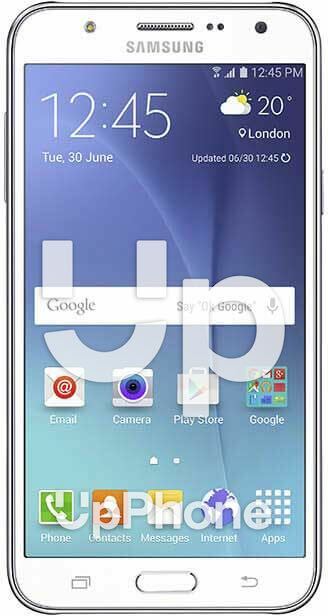 Home / Compare Cell Phones / Samsung Galaxy J7 Price, Review, Deals, Cost, & Sales! The Samsung J7, released in 2016, has a 5.5” screen with a 13 MP camera and a 3000 mAh battery. The J7 has a 5.5” Super AMOLED screen with 16M colors and 720x1280 pixels. It has a decent screen quality as expected from a Super AMOLED technology. While the J5 has the smaller 5” screen but has the same technology and pixels. This device is equipped with a 13 MP f/1.9 rear camera that can capture videos of up to [email protected] Moreover, it has a 5 MP selfie camera with a f/2.2 aperture. While the J5 has the same camera specs. It has a smallish internal storage capacity of 16 GB and supports expandable memory of up to 256 GB via microSD. The J5, on the other hand, comes in at 8/16 variants and supports the same expandable memory as the J7. The J7 has a single back-firing speaker located beside the camera. The quality is good and loud. The J5 has the same speaker and location as the J7. The Galaxy J7 runs on Qualcomm MSM8939 Snapdragon 615 Exynos 7580 Octa. While the J5 has the less powerful Qualcomm MSM8916 Snapdragon 410. Powering this device is a 3000 mAh battery which is pretty decent given that this was launched 2015. With this amount of juice, conversations should last 18:37 hours over 3G network, 9:04 hours web browsing and 16:22 hours video playback. The J5 has the much smaller 2600 mAh battery. FM Radio is equipped on this phone. This device has a Super AMOLED display screen. The J7 model comes in Black, White, Gold, Silver and Pink Gold. You can record radio broadcasts right from your phone. A panoramic shot option is available on this device. Its display screen has an outdoor mode where you can set the brightness to max which comes in handy when under direct sunlight.